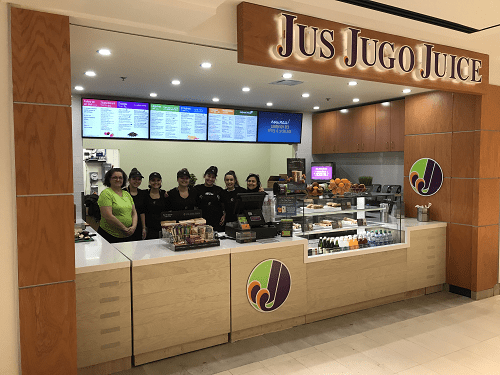 Jugo Juice is proud to announce the Grand Reopening of its latest location in Québec! The first day was filled with excited customers as they line up to taste Canada’s favorite smoothies. Franchise partner Martine is thrilled with the customer response so far and can’t wait to serve up great tasting smoothies with no added sugar and nothing artificial to guests at Place Laurier!